Location: Parking and trailhead available at the Manitowish Waters Community Center right off Hwy 51 or continue on Hwy 51 approximately 8 miles into Mercer and a parking area is on the north side of Hwy 51. The newest addition to the Heart of Vilas County Bike Trail. 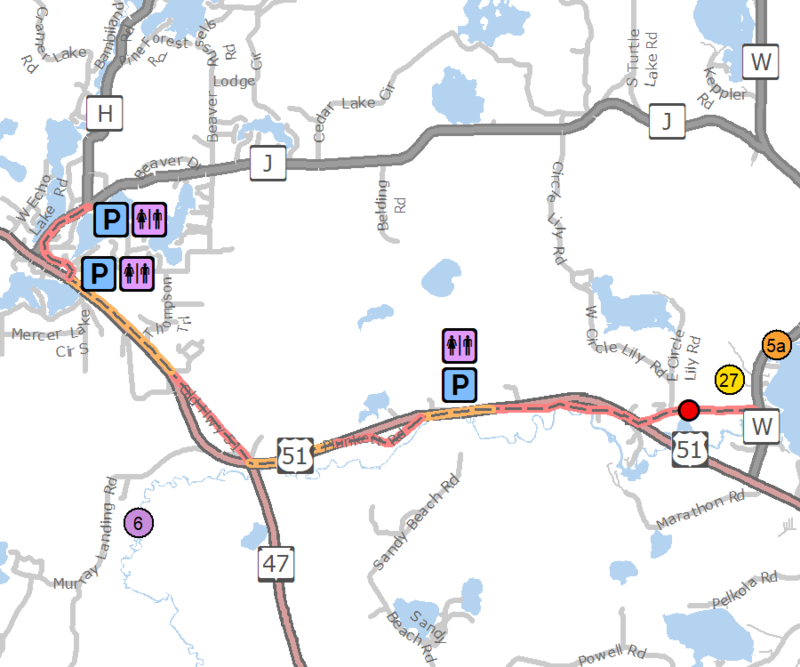 Three segments are asphalted and the other three 3 segments follow the Plunkett, Manitowish Access and Old Hwy 51 roads. These roads see little automobile traffic and are newly chip sealed and/or paved. A 40 foot bridge is in place on Manitowish River Access Road to accommodate non-motorized traffic.